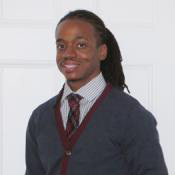 Spencer T. Clayton is a third year doctoral student in the Public Affairs program at Rutgers-Camden. His research focuses on the impact of local-level redistricting on community development organizations with a special emphasis on the Philadelphia area. At the Walter Rand Institute, he works on statistical and spatial analysis for various projects and researches topics related to South Jersey including the socioeconomic and policy-related factors inhibiting and encouraging voter turnout. Page last updated by Senator Walter Rand Institute for Public Affairs at 10:41 am September 26, 2017 . This page was printed from http://rand.camden.rutgers.edu/2015/09/16/clayton-spencer/ at 4:22 PM Monday, April 22, 2019.